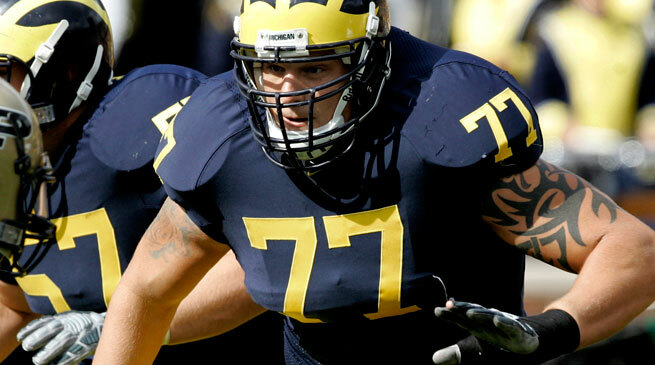 Published: April 22, 2008 at 02:22 p.m.
Now that we know Michigan tackle Jake Long is the No. 1 pick in this draft, how will the next 99 picks pan out? The draft is a culmination of months of work. Scouts do a great job of going across the country and evaluating players for the big day, and still, almost every team has a different opinion when identifying the best players available. As I've always said, some people like Rocky Road ice cream and some people prefer vanilla. The tapes have been reviewed and the players have been interviewed. The combine is long gone and the prospects have all had their team pro day and private workouts. Draft boards are beginning to solidify. Here is my attempt at identifying the first 100 players I think will be drafted this weekend. I look at the prospects' most important individual characteristics, position specifics, along with height and speed to formulate this order. Medical status (for players such as Phillip Merling and Jonathan Stewart) was not considered in the rankings. And playing experience (i.e., long-time starter vs. one-year wonder) is something I value. Rather than ranking the players from one to 100, I have broken them into 10 tiers of 10 and listed them alphabetically within the tiers. Nobody can predict exactly where every player is going to get drafted. The point here is to pinpoint the range in which a prospect is likely to go. In some cases here, a player might move up to a higher tier or drop down. As far as potential curveballs, some teams will end up reaching for a big offensive or defensive lineman who is harder to find than, say, a receiver or running back. In 2006, Saints wideout Marques Colston was the fourth-to-last player drafted, while running backs Willie Parker (Pittsburgh) and Ryan Grant (Green Bay) were not drafted at all. You'll be hard-pressed to find late-round or undrafted linemen who have had the kind of success those players have had. Team needs, of course, will play a factor in the order in which players are selected. The first 40 players here, though, are good enough to offset team needs in some circumstances. Once we get into the fifth tier, there is not as much of a difference between the 41st-best player and the 65th, so it's in the second half of Round 2 where teams will begin to focus more on filling specific needs.